To ensure your property is protected in the event of an unfortunate situation, such as a fire, flood or burglary, home insurance is a must. This cover could help you avoid having to pay out for potentially costly repairs or replacements. The good news is, this type of financial protection doesn’t have to be expensive. However, there could be a few reasons why your premium is much higher than it needs to be. To help you put a dent in your cover costs, keep reading. Here are three reasons why you’re probably paying too much for your home insurance. While it can be easy to simply allow your policy to rollover in a new contract with your current provider year on year, this approach could also be costing you big. So to ensure you’re not paying more than you need to for this cover, you could try shopping around for a better deal. Instead, you could take to the internet and use a broker website to view and compare home insurance quotes. For example, if you search for Chill home insurance, the broker will ask you to input details about yourself and your home before presenting you with policy options from a range of leading cover providers. This can be a quick and simple way to seek out competitive premiums. 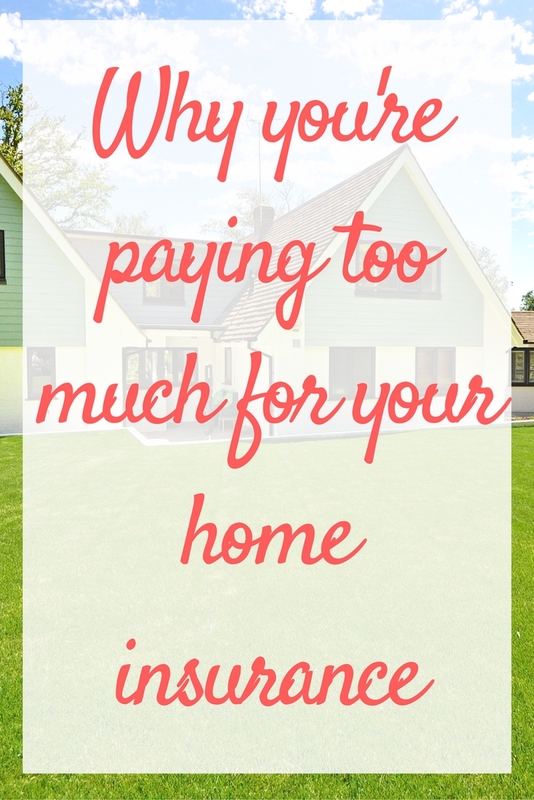 Being over-insured is a big problem when it comes to your home insurance. Failing to properly calculate the value of your possessions and the rebuild cost of your property could not only complicate things if you were to make a claim, but it could mean that you’re shelling out much more than you need to on your premiums. Instead, make sure you work out the true value of your belongings, and also remember to declare what it would cost to rebuild your property. Confusing this amount with the price you paid for your home when you bought it could mean you end up paying out much more than you need to. How safe and secure your home is can have a huge impact on the price of your insurance. Having preventative measures in place throughout your property means that you’re less likely to need to make a claim through your insurance, so if your home is safe and secure, insurance companies may be more inclined to offer you a lower premium. So if you’re keen to put a dent in your home insurance costs, you could make the effort to equip your property with suitable safety and security equipment. For example, you could fit a burglar alarm system, security cameras and lighting and even update your doors and windows with new, improved locks and bolts. You should also make sure you have fire alarms installed, and if you live in an area that is prone to flooding, you should follow the advice of the Environmental Agency. Taking the time to update your home’s security should help you bring down the cost of your cover. If you’re guilty of making one or more of these mistakes, making the effort to do something about it could help significantly reduce how much you fork out for your home insurance.